Flash Reviews are quick (under 500 words), but packed with nerdy goodness. 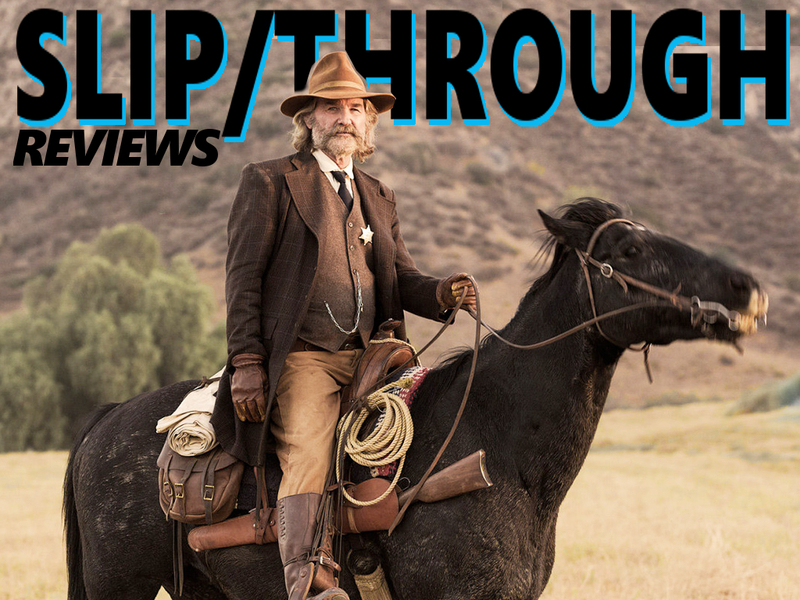 This dark, dusty, brutal, grim, yet hopeful Western is a complex piece of art. A seemingly straight-forward plot unravels in unexpected ways with incredible character work. The dialogue is full of flavour from the era. Actually, the entire screenplay is a real gem. Each scene has its own arc, and could exist as a stand-alone short film. 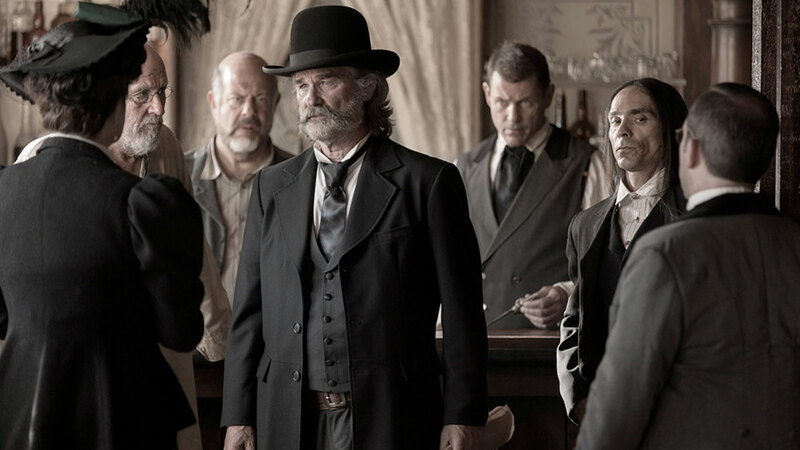 The grisly nature, 70s film-making, and eclectic voice give BONE TOMAHAWK a Quentin Tarantino vibe. Legendary Black List writer (best unproduced scripts, namely BRIGANDS OF BATTLEBORGE) S. Craig Zahler directs, ensuring this story made it to the silver screen. To be certain, this tale is savage in nature and has its fair share of brutal violence that will even shock gore-hounds. A lot of the scenery is bleak, and limited scoring helps the story feel contained. The subtle style helps us settle into the story without “telling” us how to feel. Instead of music, the scenes are largely scored by footfalls (be it from the beasts in the mountains, horse-hooves on the plains, or boots on a wooden floor). 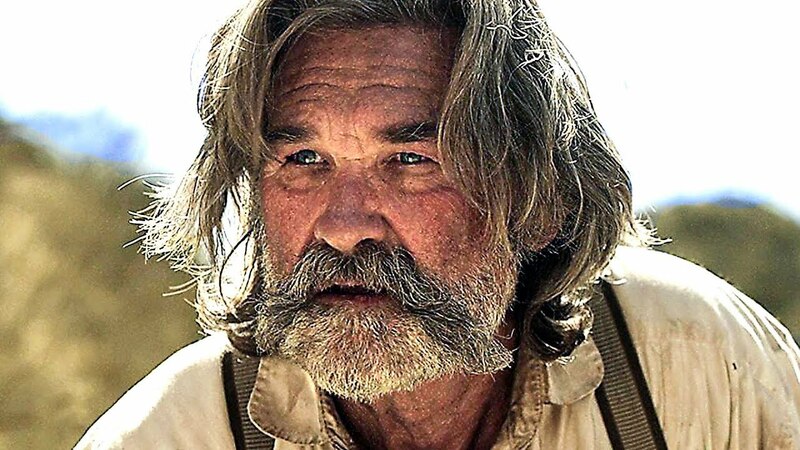 Kurt Russell leads the way as the honourable Sheriff of a small town. 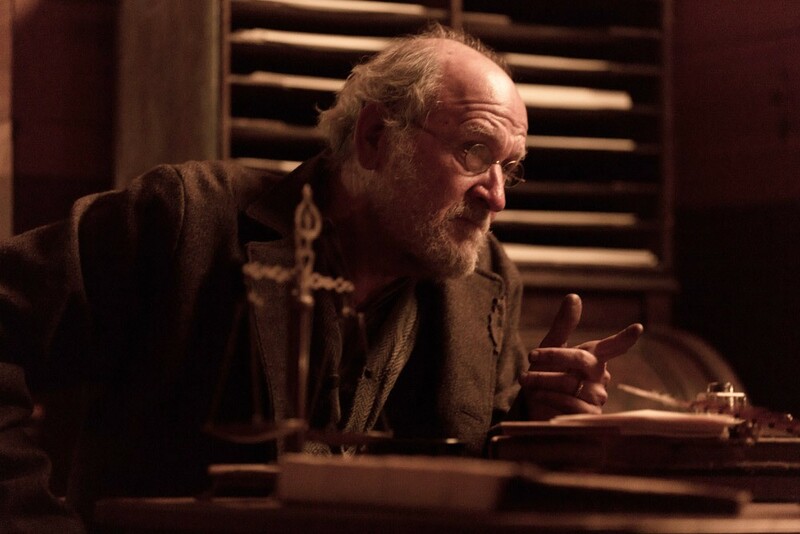 His Deputy, played by Richard Jenkins (THE VISITOR), steals scenery with comedic relief. His dialogue is some of the best of the film. The Law joins Patrick Wilson (LITTLE CHILDREN, FARGO: Season 2), playing a husband bed-ridden by injury, who’s wife (the town’s doctor) is kidnapped by revenge seeking cannibals from a tribe of inbred indigenous people. 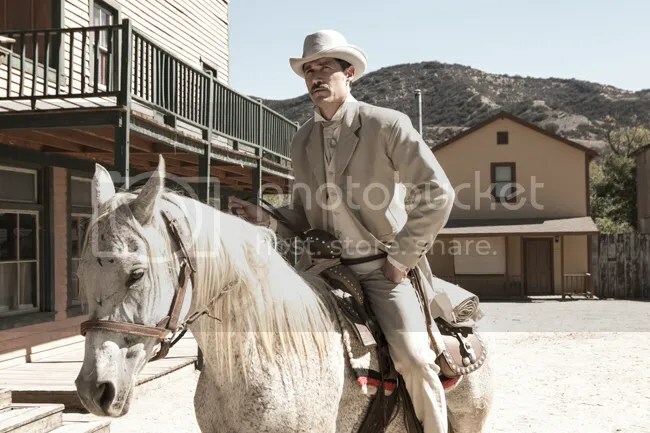 Rounding out the cast is Matthew Fox (TV’s LOST) as the cowboy dressed all in white. This tough gunslinger knows how to survive, and will come in handy as they embark upon a long journey to rescue Wilson’s wife. While Russell is the star, and scene-stealers Fox & Jenkins are impressive, Wilson is the real surprise. This man insists on joining the rescue despite his fractured leg. He won’t give up, even when his life teeters in the balance. Our determined heroes must overcome incredible obstacles along the way. This Western is pulse-pounding, extremely intense, and hard to watch at times. 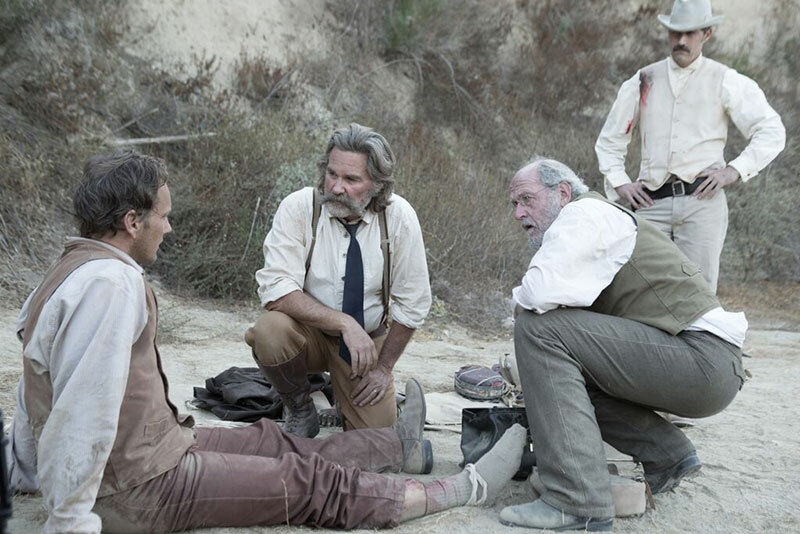 However, the bleak tone, thick atmosphere, restrained direction, and a marvelously executed simple premise make BONE TOMAHAWK the surprise hit of the year. The script is astounding for several reasons: from the structure and pacing, to the story, through to the characters and dialogue. The Western / Horror hybrid may turn away some serious viewers, but this is much more nuanced than a slasher you may dismiss it as. This is a story of the connections we make, the promises we make, and the emotions that propel us. S. Craig Zahler’s next feature couldn’t come quick enough. We may have a new rising talent behind the lens and behind the pen. Posted in movie review, moviesTagged best of, black list, bone tomahawk, brigands of battleborge, brutal, cannibal, craig zahler, drama, epic, horror, kurt russell, matthew fox, movie, movie review, oscars, patrick wilson, quentin tarantino, review, richard jenkins, screenplay, violent, westernBookmark the permalink. I think you’ll like it buddy. 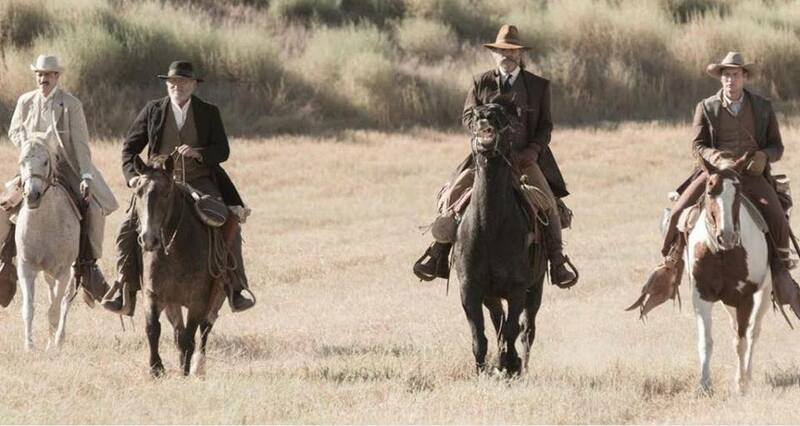 It’s definitely got the old school western vibe. Like John Ford days. It takes its time, it casts its spell, and then you’re done for 😉 I can’t wait to hear what you think about this one. I know we like some of the same horror flicks. This sounds fascinating, Western/Horror? I love it!!!! Must go find this movie. Thanks for the review!!!!! I know right. Such an odd blend. And it’s not like supernatural or paranormal or anything. It’s just a terrifying sequence of events that could really happen. Geesh, I shudder just thinking about it. I hope you like it. I’m looking forward to reading your thoughts about it! It is fairly new, right, so I will have to wait until it comes out on VUDU or something. Will let you know!!!!! Right on! Yeah, it debuted a couple of months ago I think. Worth the wait. 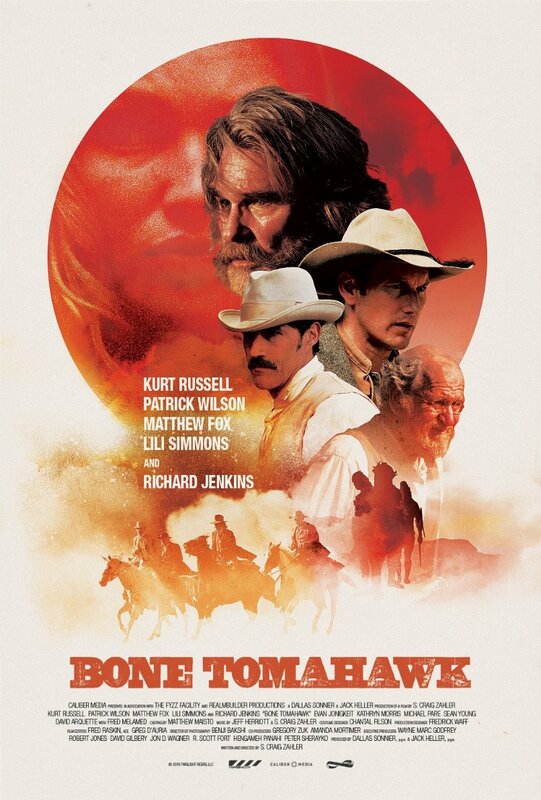 My son and I watched “Bone Tomahawk” the other night (we found it on Amazon). You are right!!!! It is a great movie, and unlike so many slasher movies it was completely impossible to predict what was going to happen next. I really enjoyed it!!! Thanks for the recommendation!!!!!! I know eh. This one slipped under the radar. I’m here to help make sure it doesn’t slip through. Wink wink. It skipped theatres and went streaming, but don’t let that shy you away. It isn’t like old school straight to tape type stuff. This is solid filmmaking. I’m looking forward to your review! Hmm. Hmm! I may check it out. If possible in the UK. Plenty of things never make it here! 😦 Like Snowpiercer. Dang. I hope Tomahawk does. I saw it streaming. Maybe you can rent it somewhere online? As for Snowpiercer, that’s a shame. I’m in Canada, so it took a bit longer for us to see it, but at least we got the opportunity. I think my feelings on this film are well-documented. ha. Great review. Yes. Loved both of your articles on it! And it makes an appearance in this week’s Random Chat Show as well. I may have a problem that requires medical attention. Ha. Hahaha. Tomahawk deserves the attention though! Loved the podcast. And really well said on there. You guys get a little animated this go around. So many awesome flicks to highlight in your Best Of episode. Ha. Yes. Some disagreements for sure. All in good fun. Of course! That’s what makes writing about movies so great. The difference of opinions and expression. Almost my favorite part of it. Almost. Loved it. Didn’t know what to expect at all but thought the horror western crossover really worked. Enjoyed the bits of humour too – seemed less bleak. Definitely worth a watch! Yes. Glad to hear you liked it too, Hayley. The humour definitely deserves more mention. I love Jenkins as the deputy. He has some of the best lines. He also talks a lot right. Russel had a great quip about closing that “aperture”.